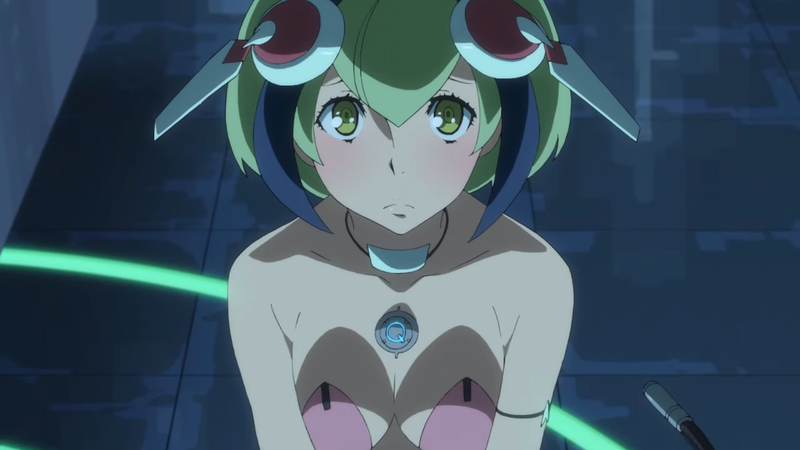 A brief, spoiler-free review of the 12-episode winter 2016 anime “Dimension W,” produced by Studio 3Hz, based on the manga by Yuji Iwahara. Enter the near future – 2071 to be exact – and you’d find a world transformed and reinvented by “coils,” battery-like bolts which tap into the fourth dimension to channel unlimited energy. Though New Tesla energy company’s coils can be bought off shelves, secretive bootleggers would rather sell illegal coils to earn a living in this seemingly Utopian era. Not if they are stopped by Collectors, though. These individuals hunt down private companies and illegal coils for a bounty, often living reckless and dangerous lives lit by the night sky. 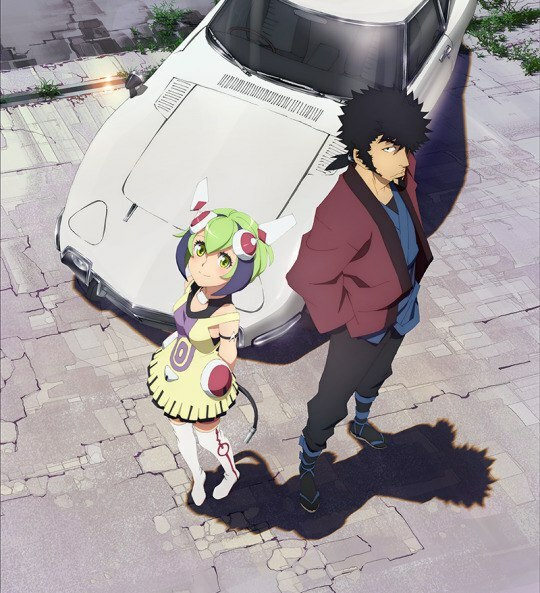 Dimension W enlarges the life of Kyouma Mabuchi, a Collector with a pretty scarred past that caused him to detest coils—He refuses to use them for anything, be it powering his car or a gun. On one particular spree, Kyouma runs into Mira, a robot girl who runs on coils like we rely on blood. As Kyouma grudgingly extends his rough hands for a partnership in the biz, the two uncover the truth of this elusive fourth dimension and how its entire foundation might actually stem from Kyouma’s long-lost past. Looks are deceiving. 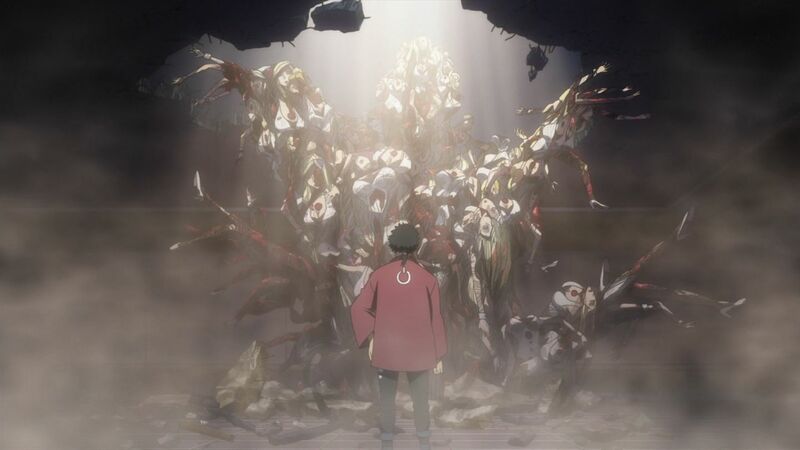 Much as how Mira (despite being a robot) is surprisingly more humane than Kyouma, Dimension W has the solid setting to create an unimaginable sci-fi story, yet falls short in nearly every department. Namely, it fails to further explain what exactly a “coil” is. We know what they can power (and what happens when they are disrupted), but we don’t know how they work. 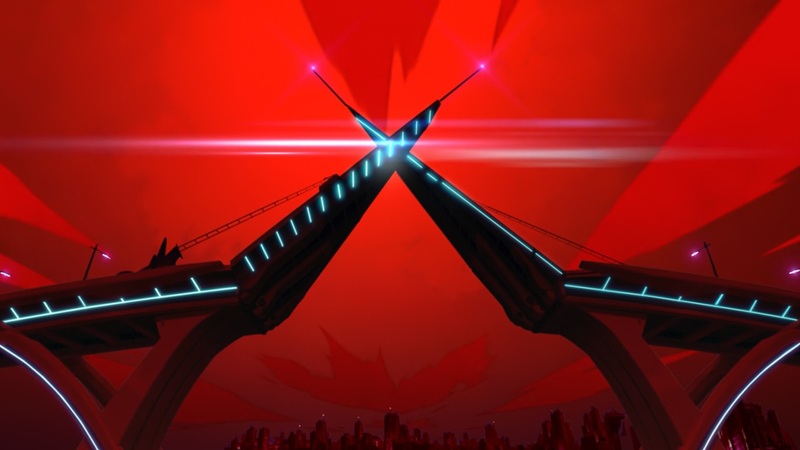 And for a science fiction series, breaking down what futuristic concept is being introduced should be the first priority. Now, we did get a half-assed reasoning in the last episode, only to find out it was based on a faulty concept all along. Pretty sure that’s not how energy works . . .
Where this anime does shine is in its characters. Specifically, the leads, Kyouma and Mira. The dynamic between them is great, the vintage Kyouma always muttering “piece of junk” rather than the android’s name as if he defies the idea that coils can produce something so human in nature. In fact, he’s like an old man resisting an iPhone because he knows how unprotected technology leaves folks these days. Kyouma’s veteran past may have left him stubborn and grim, but Mira, for some odd reason, is able to break through his wall and find a beating heart under that worn, red happi coat of his. I mean, Mira is adorable as f***, so it makes sense. 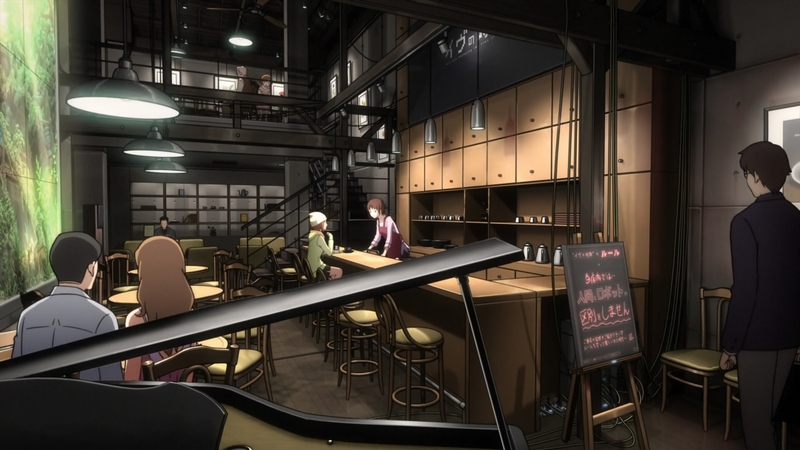 Over the course of the series, Kyouma will grow to accept and respect this lime-haired heroine, and that development in itself is a huge driving factor for the show. The actual plot lacks a cohesive run. 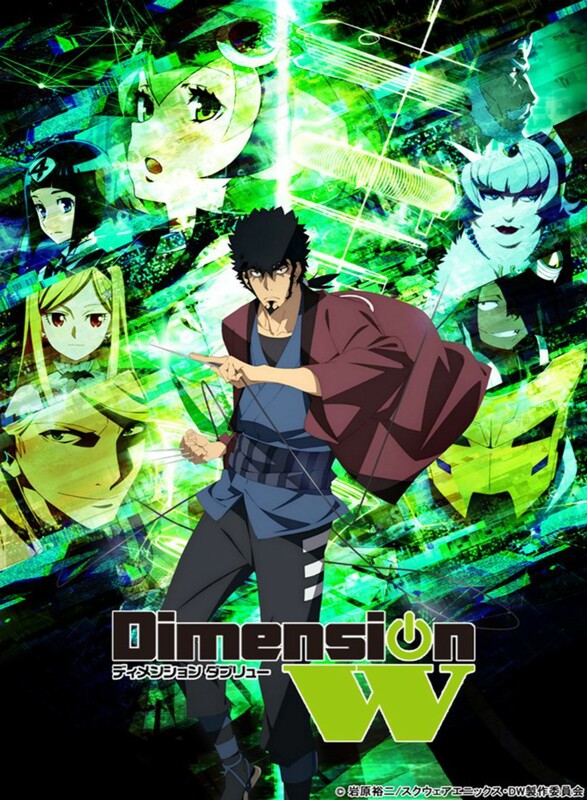 Dimension W’s first five episodes are an incredible mix of mystery, high-energy action, and wonder (I even thought for a while there the title’s “W” stood as such), but after an intense two-episode story midway, the setting is shifted towards a location rooted in memories of the past – Easter Island – and the plot becomes unraveling the events which took place back during Kyouma’s Grendel days. We seem to have ditched building on the futuristic setting and the ‘wonder’ surrounding the coils for a lame survival battle with a crap ton of new characters with zero background. Like, what? I thought the show was about Mira and Kyouma and their suspenseful jobs as Collectors fighting off the enigmatic masked cyborg “Loser.” This could’ve been the next Psycho-Pass, but instead we got yet another sci-fi with an unmemorable plot! All was especially disappointing considering FUNimation Entertainment’s first-ever assistance/partnership with the show’s production. I was really hoping for a bang! At least the technical execution was pretty faithful. 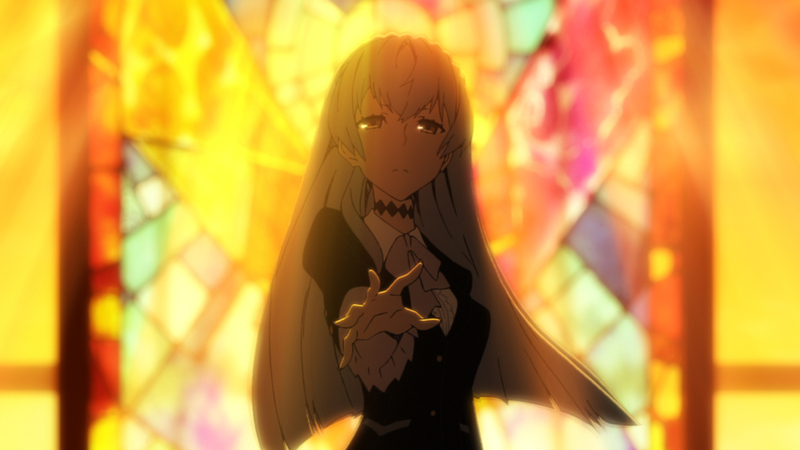 Very little has come from Studio 3Hz, but the team managed to pull off a halfway decent-looking anime. While watching Kyouma throw his skewers all over the place was amusing, there were quite a few noticeable shortcuts made. One is that on occasion, characters will be zoomed up during dialogue with solid-colored backgrounds behind them. Another was the lazy animation in the last couple of fights, particularly that of with the show’s lame antagonist. 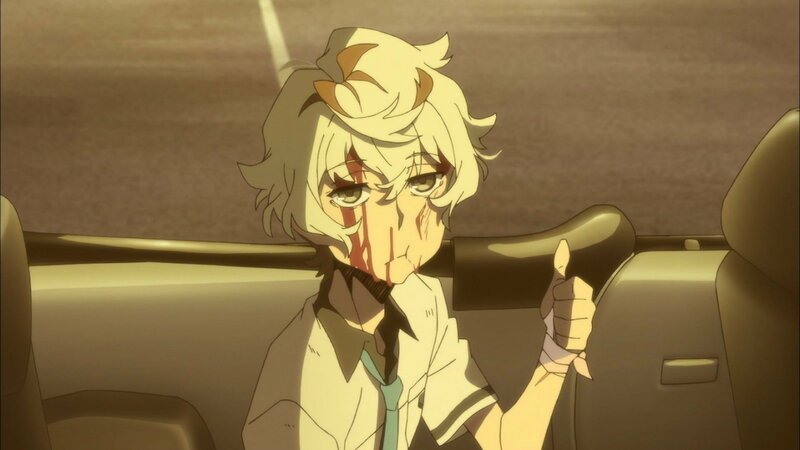 Again, I really enjoyed the character designs and the first few episodes. After that, not so much. What really got me was Yoshiaki Fujisawa’s epic music. You may recognize his soundtracks in Gate, Love Live!, Yuri Yuri, and others. Watching FUNimation’s Production Diaries on YouTube, we got insight into his inspiration for writing not only DW’s music, but soundtracks in general. Really interesting stuff for a music buff like myself. 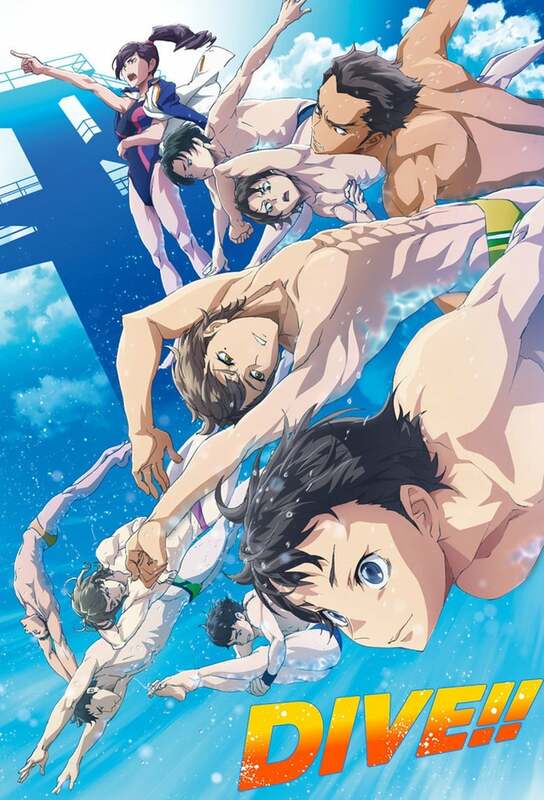 By now it should be no surprise to you that I was pretty disappointed with this anime, especially after seeing many behind-the-scenes clips and knowing the work that went into the project. When it comes down to it, the plot is the one at fault. 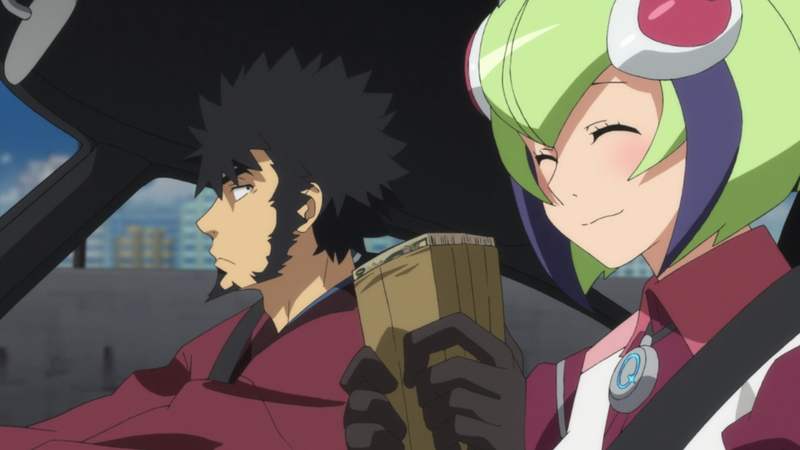 Dimension W had great potential, starting off with strong leads and an impressive premise. Once the ball got rolling, all I kept doing was looking back at the previous episodes (well, that and the clock to see how much more time I had to wade through), and I felt the show itself was doing the exact same thing. The conclusion was also pretty lousy, given that I came in wanting to exploit the coil system rather than the scientists who made it. Fantastic start, but a hard flop to the finish. 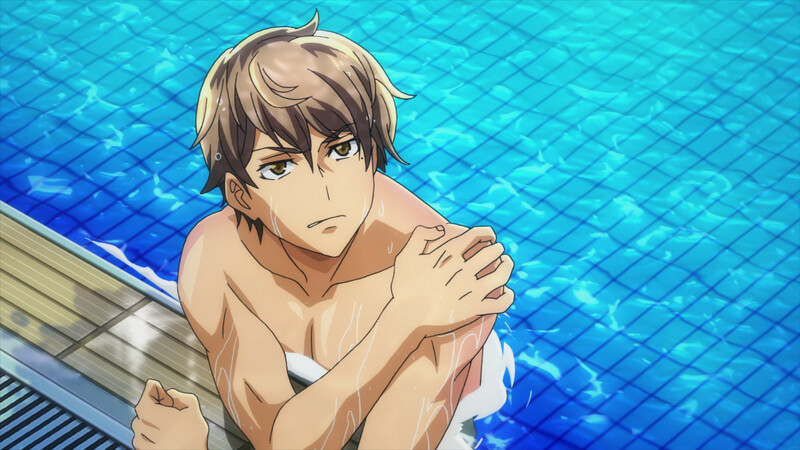 A spoiler-free review of the 12-episode winter 2013 anime “GJ-bu” or “GJ Club,” produced by Doga Kobo, based on the light novel series by Shin Araki. 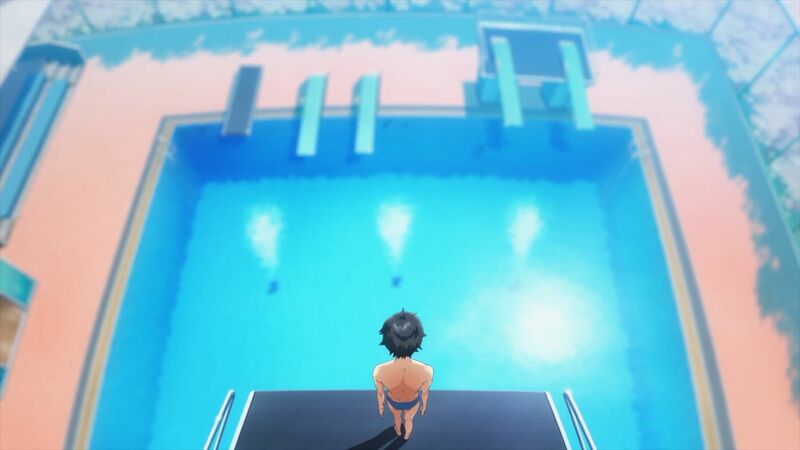 Assume for the moment that this is an anime about a poor boy engaging in harmless games at the expense of a group of totally-pure high school girls. 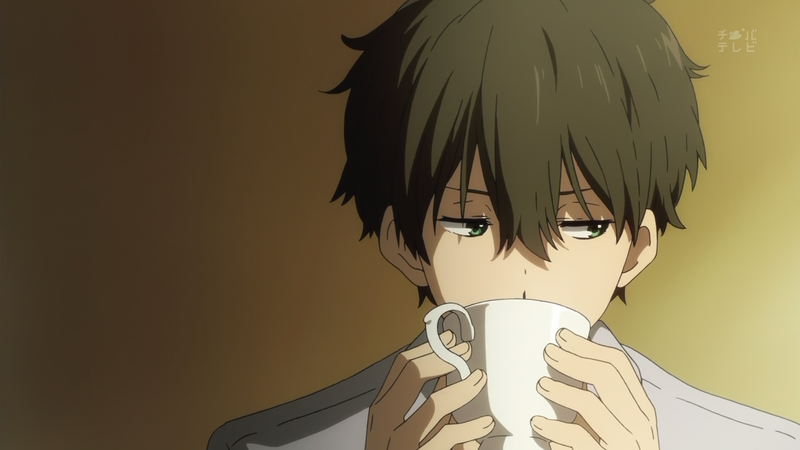 When demons from the underworld aren’t wreaking havoc amongst high-school kids or when bras and boxers aren’t being violently stripped from these fine teens, you have, in this situation, a school-life harem. 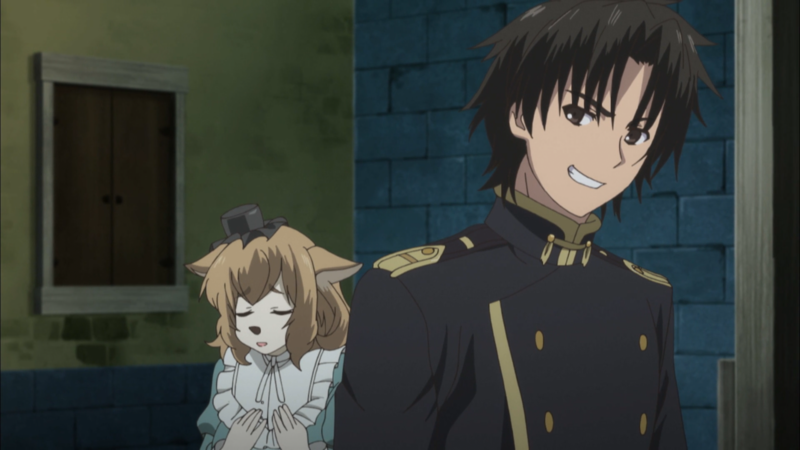 These cookie-cutter shows are the dreams of many anime fans. 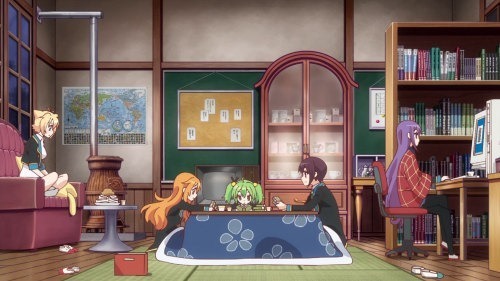 I mean, could you imagine a world where after school you hung out in a homey club room with your best friends to discuss the trivial gimmicks of school life, or perhaps spend the entire afternoon eating cake, drinking tea, and playing games? Last time I played this game was in elementary school. Stubbed my toe pretty bad, too. Well, that’s what we do in the “Good Job-bu” club, or the GJ Club for short. Its mission is known to none – that is, if it has one – and it inhabits a decently-sized room in a former building of the school. 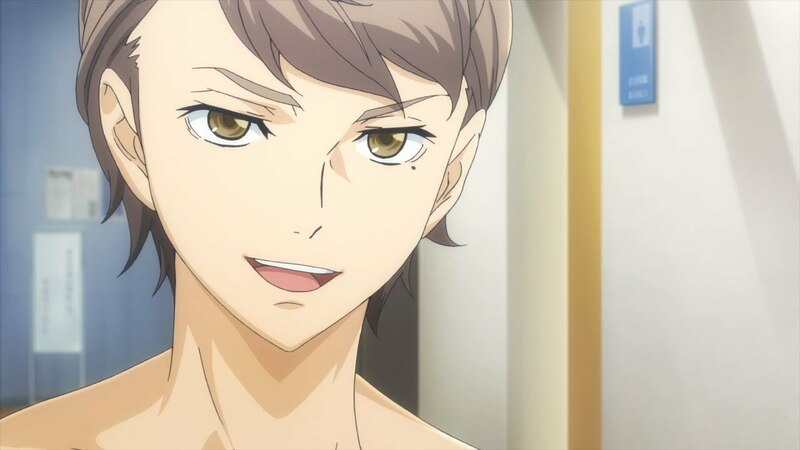 But today is different for this seemingly pointless gang of ladies: Shinomiya Kyouya is kidnapped forced to become a new member – and he’s a boy. Paging Dr. Kyoro . . . Yeah, you know what’s up. And that is exactly what makes GJ Club the ideal slice-of-life school anime. They play wacky games, eat tons of meat snacks, read manga; the whole package. As for story . . . . Unless the moral was to enjoy time with friends before high school life is over then there is none. AND THAT’S OKAY. Funny and consistent with its environment, the anime is merely a lighthearted reenactment of our favorite anime tropes. Enjoyable because of the dumb stuff they do and their reactions to it all, but very average in story, characters, and even animation. This anime doesn’t do anything to challenge the stereotypes. 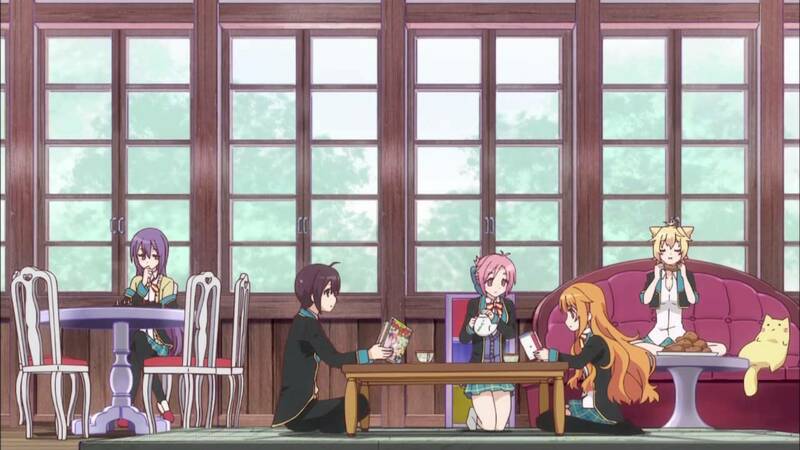 We’ve got the short tsundere club leader, Mao; the overly intelligent yet lacking-common-sense cool rich girl, Shion; the pink-haired airhead, Megumi; the girl who thinks she’s an animal, Kirara (yes, she is a foreigner); and the bratty little one that no one likes (Tamaki). There is also a plentiful batch of token little sisters for those who enjoy hearing “ONII-SAN” five-hundred goddamn times. Watching Megu struggle and obsess over her weight was unintentionally hilarious, though. Same with Kirara’s uncanny strength. Modesty. The women folk love it. I suppose the lead boy is a little more interesting, if only he actually developed throughout the series! Nicknamed “Kyoro,” he remains the only male in the club, not that his status as such matters. You see, he is constantly ridiculed as cute or feminine, regardless of that just being his innate politeness when it comes to dealing with women. The fact that he prefers shoujo manga over the more popular mecha and “boku” as his title rather than “ore” doesn’t help his case. To add insult to injury, however, he admits his talent of being able to deal with those of the feminine persuasion, which partially stems from the routinely brushing of his little sister’s hair. And how do the other girls react? 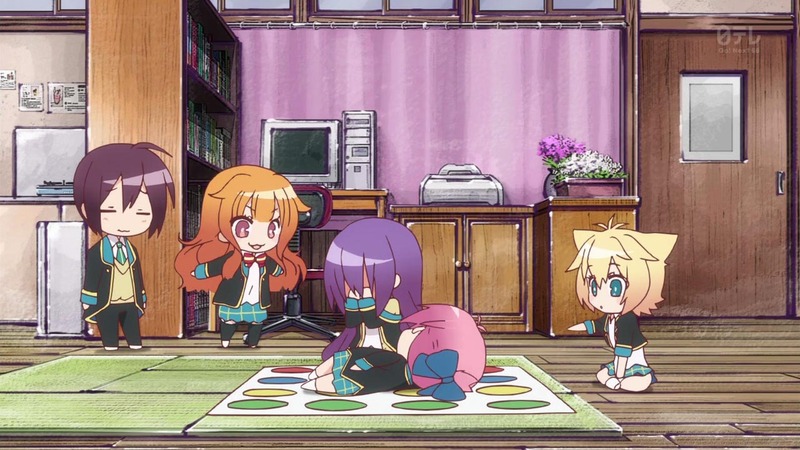 The sparkling studio Doga Kobo did the animation for GJ Club, and though it’s nothing spectacular, it should be noted for its consistency and colorful, bright atmosphere – Specifically in the clubroom and the perky hair colors. 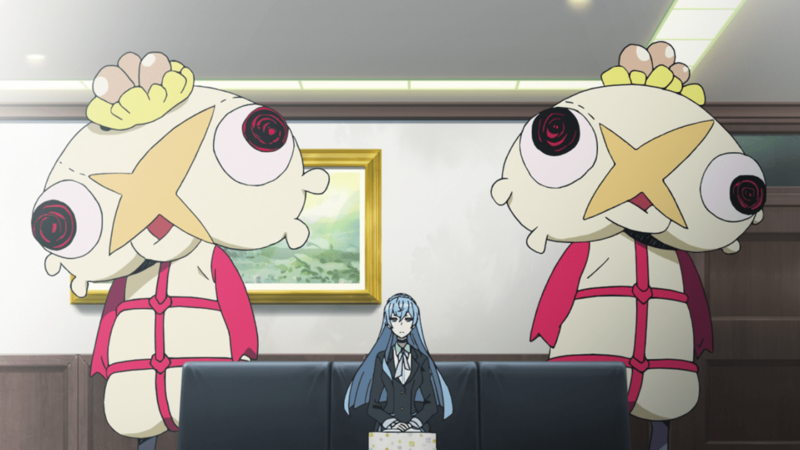 The eyes take the signature “bubbly anime eye” to the extreme and I always found them weird to stare into. With this anime, however, atmosphere is more important, and I can rest in peace knowing the ideal clubroom was captured in brilliant light and warm tone. Leaving that room on the last episode was the hardest part. Hot as balls. It happens. 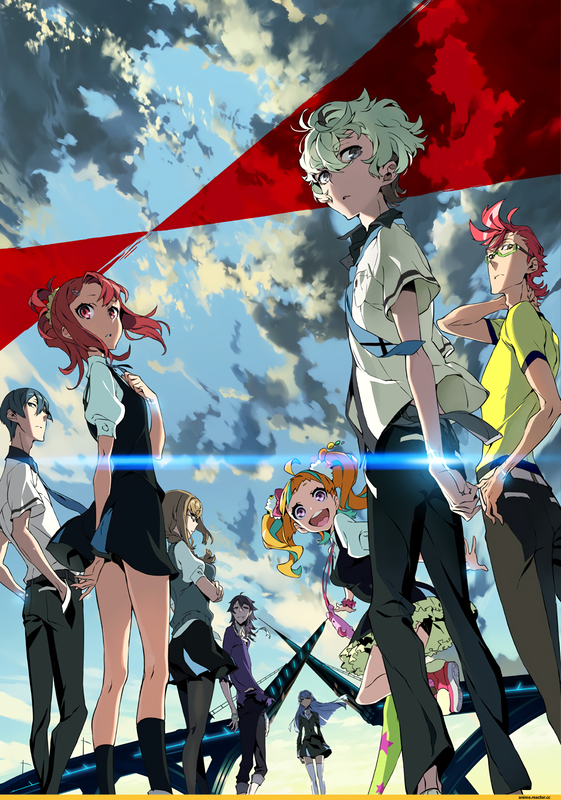 I honestly can’t recall the soundtrack for this anime, but it is not bad without a doubt. I shouldn’t stress something that didn’t stand out. So I won’t. 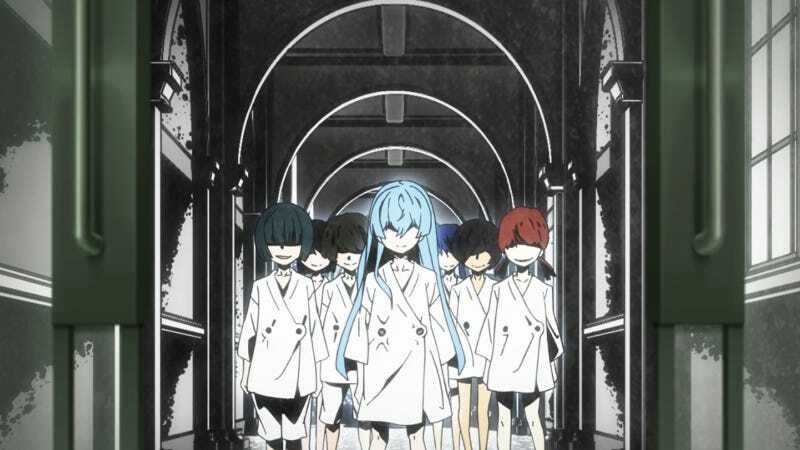 The opening, “Mousou★Koukan Nikki” by Otome Shinto, is my favorite song from the series. 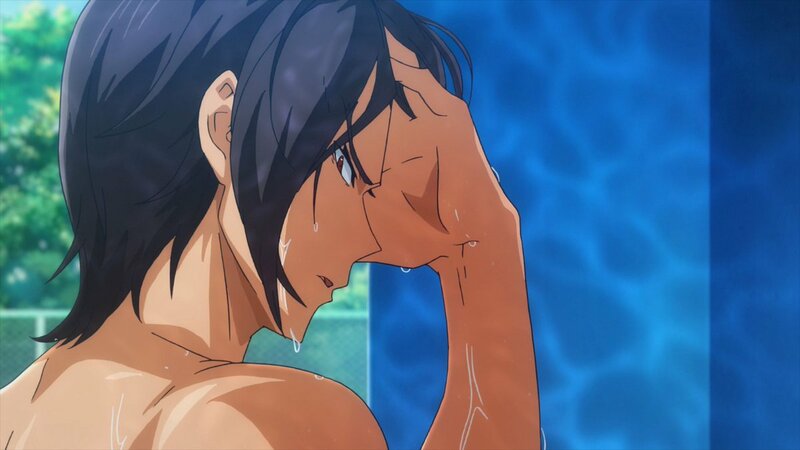 Those first ten seconds of sass and choreography of the characters walking towards the clubroom was just awesome! It’s such a happy song!! If I were to squeeze out a negative, it is that despite how quirky and fun they seem, characters like this will never exist in real life because they are so heavily rooted in these anime clichés. If you do manage to find a group of friends like this (and actually don’t find them annoying), then that’s great. But maybe that’s why this show appeals to me so much: GJ Club provides the after school family I always wanted, but probably will never have. 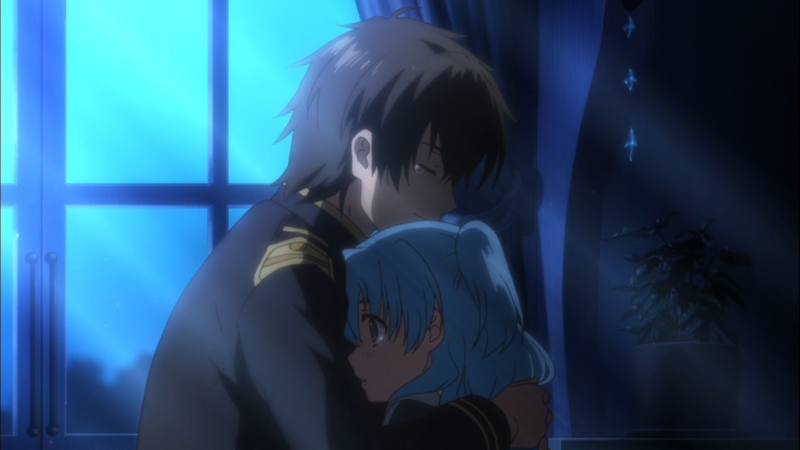 It’s very sad to hear and take in, but hey, it is, after all, just an anime. 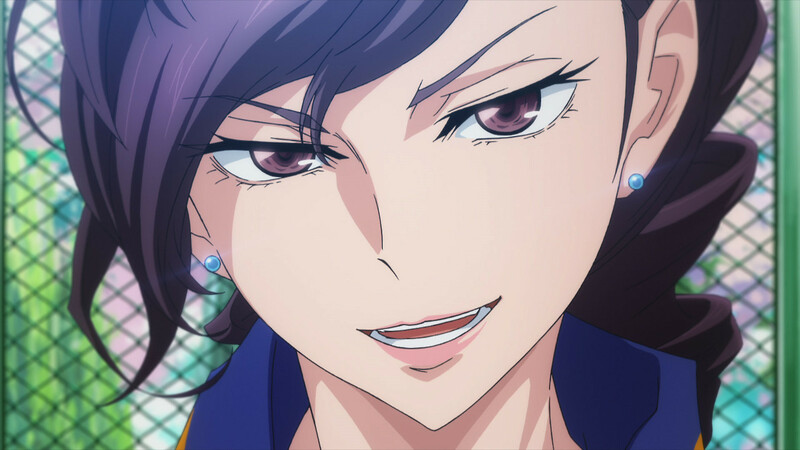 GJ Club is a slow anime – I dare say unexciting half the time – but that works in its favor. It draws out unusual comedy, never taking things to far, and milks those scenarios for all they are worth. 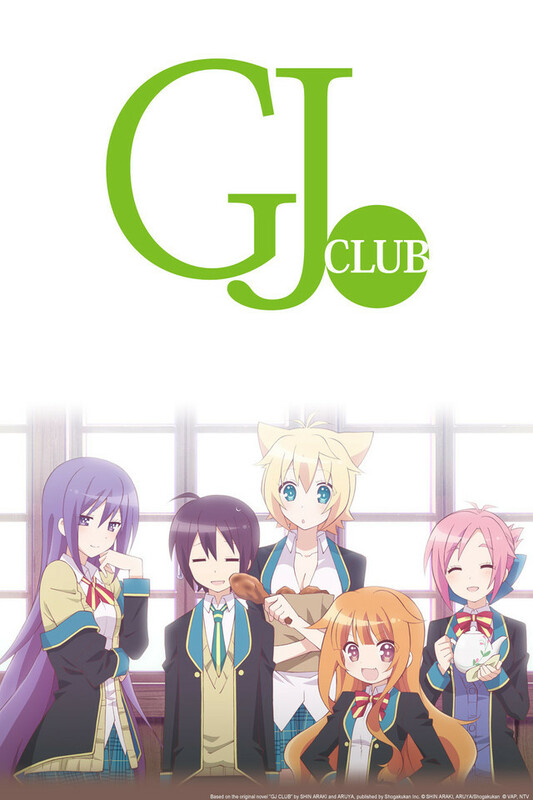 If you just got finished with the new crazy shounen anime kids are raging about today, or the most depressing romance you’ve seen to date, and are wanting something to give you breath, do consider GJ Club. It’s silly, colorful, and very relaxing.